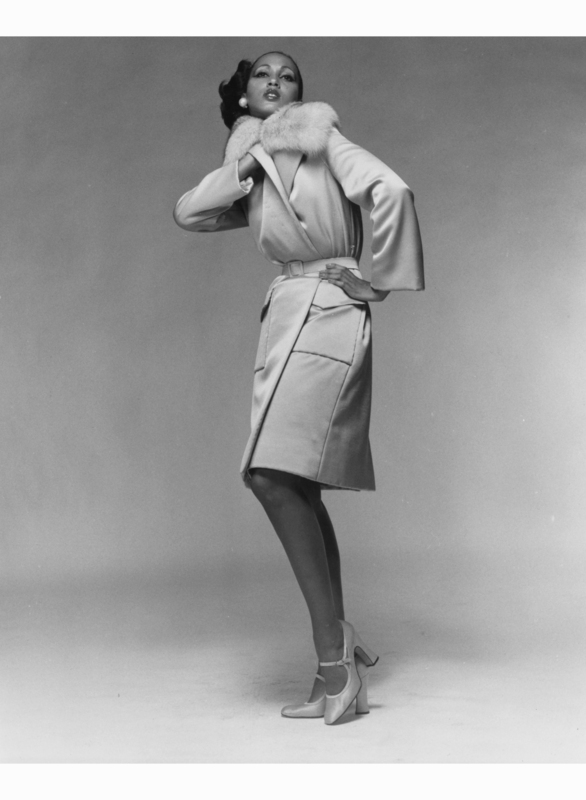 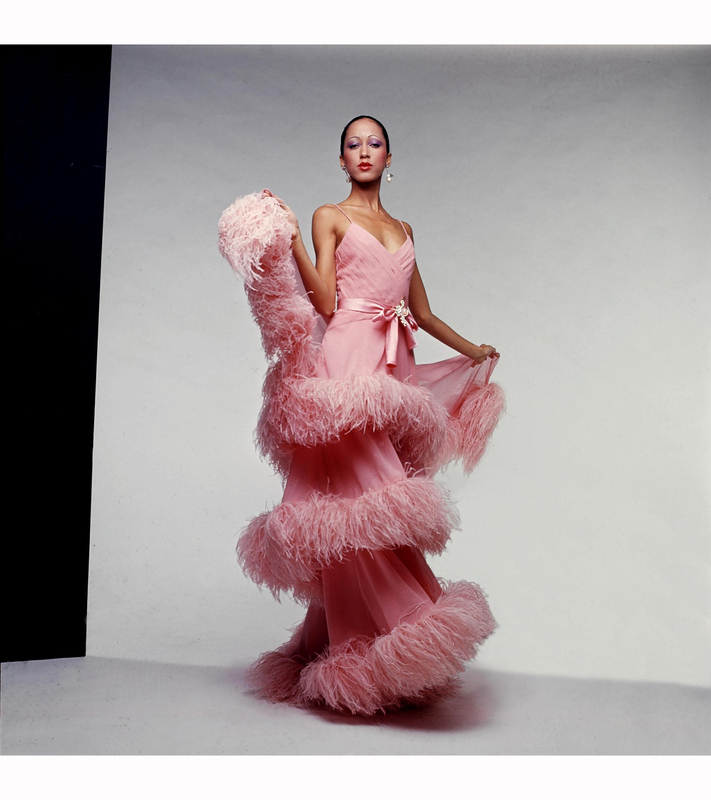 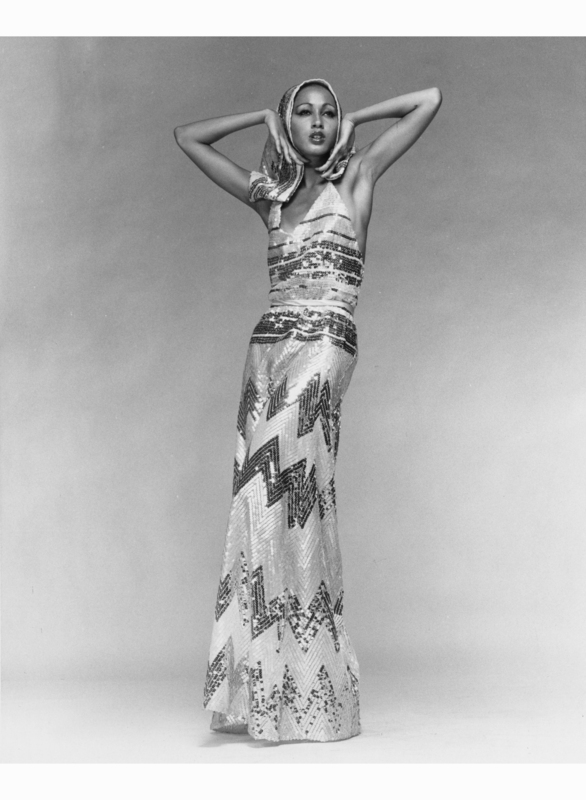 Pat Cleveland started modeling for the Ebony Fashion Fair when she was 14. 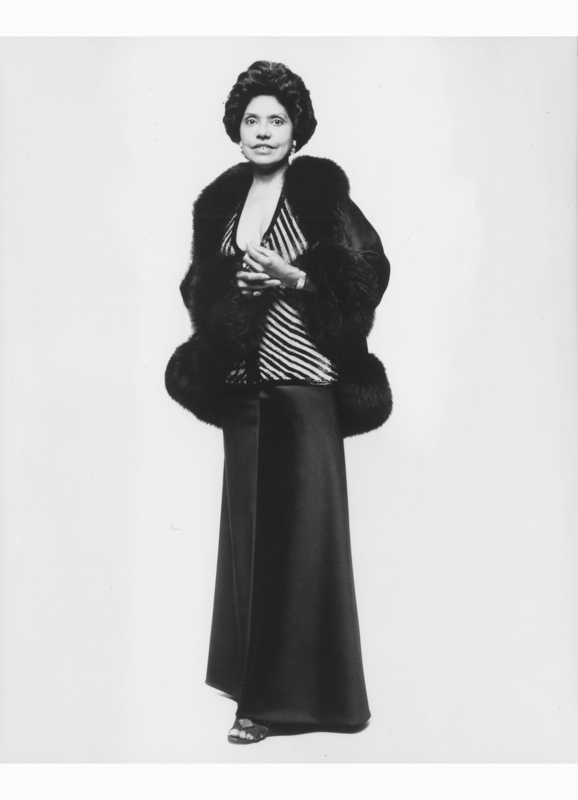 Eunice Johnson bought haute couture for herself as well as the Ebony Fashion Fair. 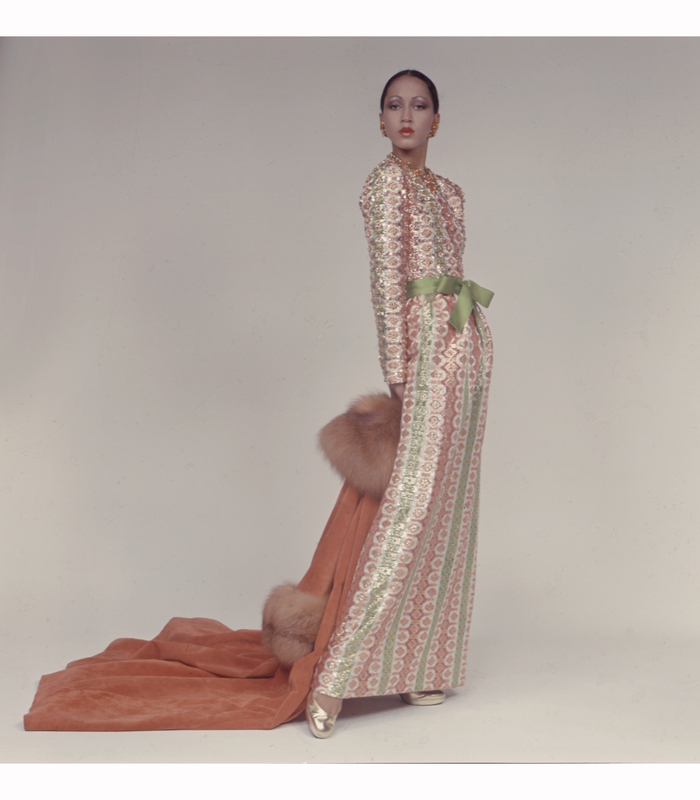 Here, she wore a Balestra gown in 1973.